I am also interested in various aspects of biology and life sciences, in particular astrobiology and studies of ageing. There's just random jumble of things here that I add when I see something interesting. For more cogent discussions, check out Biology Stack Exchange an excellent Q&A forum. Extremophiles, literally "extreme lovers" are organisms which live in conditions which would ordinarily kill terrestrial life. They are of prime interest to astrobiologists, since they inform our searches for life beyond Earth. 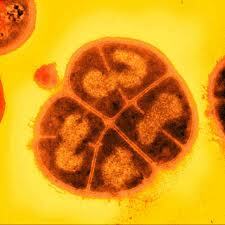 An fascinating example of an extremophile is Deinococcus radiodurans (light microscope) - a radioresistant extremophilic bacterium. D. radiodurans has the ability to repair its own DNA when subjected to ionising radiations which would usually kill other organisms. A good starting point for the astrobiology angle is the Astrobiology Primer. 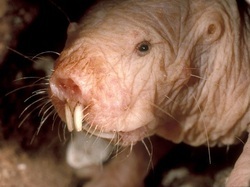 This handsome girl is a naked mole rat. She is of interest to ageing researchers since she is the longest living rodent, and exhibits a number of "adaptations" for longevity including the ability to slow her metabolism and has an extremely low incidence of cancer. Model organisms such as this are just one of the multiple avenues researchers are exploring to try and understand and delay the ageing process in humans. This is not just about a selfish dream of living forever - the majority of human pathologies in the developed world are age-related. Extensions of healthspan will have a major positive impact on modern medicine. In addition, if we ever want to explore the stars someday, it will take us a long time to get there. Here's an excellent introduction to the subject of senescence. Also, for an interesting (and rather optimistic IMHO) angle also take a look at SENS - Strategies for engineered negligible senescence. Telomeres-stop your genes from fraying. 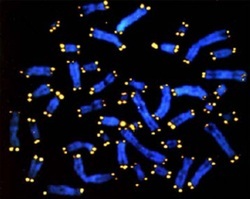 This is a light microscope image of some chromosomes (blue) and their respective telomeres (stained yellow). The mechanism which replicates DNA is such that for each replication, part of the end of the chromosome is lost (a chromosome is basically one long DNA molecule containing many genes - specific sequences of DNA which code for proteins and other things). If this were allowed to proceed unfettered, our chromosomes would be gradually shortened after each replication, leading to the loss of genetic information. Telomeres are repetitive sequences of DNA nucleotides on the end of our chromosomes which prevent such chromosome degradation. Since they contain "junk" nucleotide sequences, telomeres can shorten without loss of genetic information. Telomeres effectively limit the number of times our DNA can replicate itself (and hence the number of times that cells can divide). Interestingly, cancer cells can get around this problem by using an enzyme telomerase reverse transcriptase which can lengthen telomeres - this allows cancer cells to go on dividing indefinitely ("immortal cells"). This then leads to some intriguing possibilities. Can we target cancer by inhibiting this telomere‐rebuilding enzyme? Can we rebuild our own telomeres? Could telomeres be a key to ageing (or are they just a symptom of it)? Oxidative stress is an excess of reactive oxygen species in an organism, which would ordinarily be kept in check by the reducing environment of the cell. An increase in the oxidization potential in cells can lead to serious damage at the organismal level. 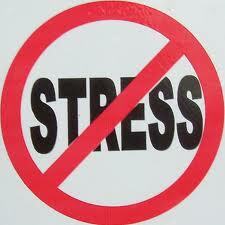 In humans, oxidative stress is involved in diseases which include Alzheimer's, Parkison's and artherosclerosis. Interestingly, low‐levels of oxidative stress may actually be beneficial to the organism due to what is termed (mito)hormesis.This is the stimulation of the immune system / stress response system due to the low‐level presence of toxins or sources of stress. This phenomenon may also play an important role in retarding the ageing process. The notion of beneficial or therapeutic hormesis is particularly intriguing when thought about in the context of the free radical theory of ageing (FRTA) as developed by Harman in the ´50s.